So, my 760 has an overheat fan in the front. I thought it would be triggered by the A/C when it got turned on, but NO, just that thermal switch in the radiator. While sitting out in hot days in traffic, Volvo A/C units aren't always the best out there. This will be a simple writeup on improving the A/C while sitting and in traffic. I doubt it will do much while moving. 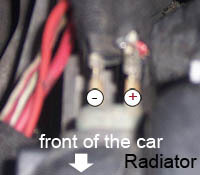 On the radiator is the thermal switch with two wires coming from it. ONE is hot when the ignition is on, when the thermal switch hits, it connects the circuit directly to the fan, no relays that I can find. Now, to complete this, you need a relay and some wire. I cut a little relay harness out of a 240 behind the glove box to use this, instead of 4 spade-connectors at the end of the relay. I will be using "t-taps" for this, as I don't want to cut any of my precious 1986 engine bay wiring harness! 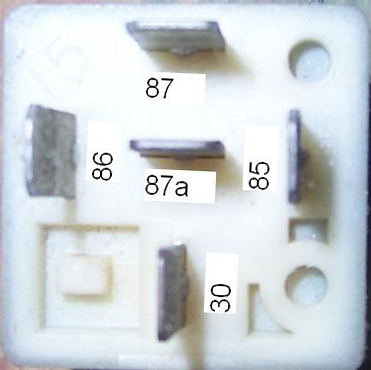 Relays are fairly standardized. Mine is a ford fuel pump relay rated at 30 amps. There are 5 terminals on the relay, some have 4. 87a (some relays lack this) this is a second output, if you were to have illumination or something else. It isn't required. So, first thing's first. Find the green wire going over to the A/C. It has a "disconnectable" section perhaps to allow bypass of the low-pressure switch. So I put the relay right around the heater/dryer. It's just "chillin" there as I didn't have any way to secure it. I took pin 86 and put a ring terminal on the harness and grounded it to the valve cover. I put pin 85 and used the t-tap to the green wire. I took 30 and connected it to the side that was hot with the key on. Here I had a nice/hot solder iron and I actually soldered the wire DIRECTLY to the female connectors of the red/white stripe wires. It makes for a good connection and tape it up and make it look good. 87 goes to the switched side of the fan wires (not hot until the overheat occurs). 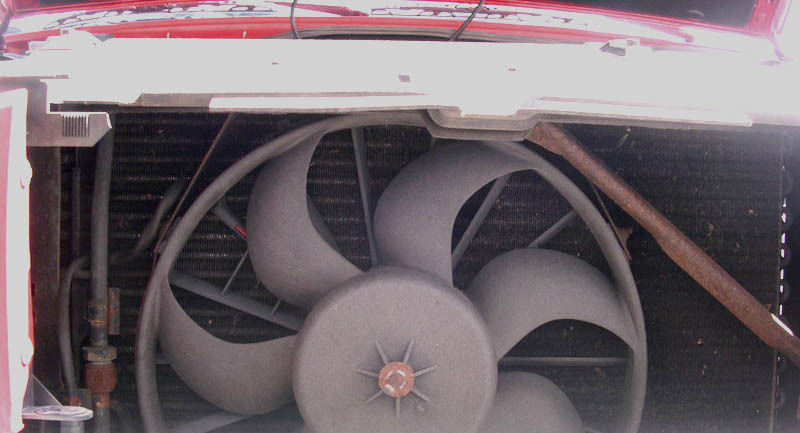 "Do you have problems running an e-fan and the A/C fan? My voltage when there is 2 e-fans running and the A/C and the heater fan is like 10V at that point and my car hates me."